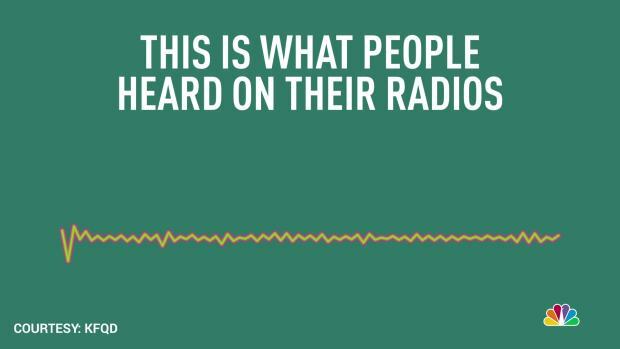 Anchorage radio station KFQD was live on the air when a 7.0 magnitude earthquake struck. This is what happened live on the air. Midtown Anchorage resident Timothy Kirby, who has lived in the area since 1971, said he was asleep in bed with his bulldog when he was alarmed by strong back-to-back jolts. "We had two big jolts and the bed started swaying like a boat on a turbulent river," Kirby told NBC Los Angeles. "It threw us out of bed, and we hit the wall." Alaska Railroad reported "severe damage" at their Anchorage Operations Center according to a spokesperson. The center has lost power and is experiencing flooding. The Trans Alaska oil pipeline was also shut down as a precaution. The pipeline is 800 miles long and is located east of Anchorage. It is the only pipeline that transports oil across Alaska. President Donald Trump tweeted that the federal government "will spare no expense" helping Alaska. The White House on Tuesday authorized FEMA to coordinate all disaster relief efforts after Gov. Bill Walker issued a disaster declaration. He was in an elevator in a high-rise Anchorage office building and said it was a "rough ride" coming down. He described the quake as a 7.2, though it was unclear why his figure differed from that of the USGS. Kirby, the Anchorage resident, said the that his house "looks like somebody took it and shook it like a salt shaker. There's busted glass. Threw all the cans out of the pantry. Emptied my refrigerator. The power's out. ... But, thank God we're alive, because at a couple of moments I really thought we were going to die." Anchorage lawyer Hank Graper was driving when the quake struck. He first thought his vehicle had a flat tire, then thought it was exploding. He realized it was an earthquake after he saw traffic poles swaying. 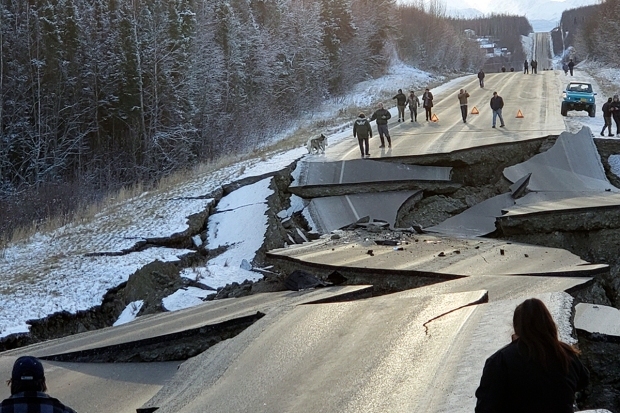 Graper called it the most "violent" earthquake he's experienced in his 20 years in Anchorage. AP writers Mark Thiessen, Becky Bohrer, Gillian Flaccus and Gene Johnson contributed.